Welcome to the 2018-19 school year! I hope you enjoyed a restful and relaxing summer. Summer is always busy in District 86, and the coming school year has new things that have been months or even years in the making. This year we begin our full implementation of the 1:1 instructional initiative, which is now the 1:1 learning environment. Full deployment of devices will take place during this first week of school. Teachers are ready to finally bring to fruition this program that they have tested and prepared for over the last four years. Not simply technology for technology’s sake, we have worked to make Chromebooks an integral tool for student learning both inside and outside the classroom. Culminating the facilities work that began in January 2015, the Board on August 6 voted to approve a resolution to place on the November 6, 2018 ballot a proposition for school building bonds in the amount of $166,426,514. The projects in the referendum fix our infrastructure, make our schools accessible, increase school security, and imagine what our facilities would look like if they were as good as the instruction going on inside them. To pay for these projects, a homeowner of a $500,000 fair market value house would pay about an extra $300 a year in taxes. We will be reaching out to the community and holding events in order to provide information about what our facilities need and the opportunity this referendum presents. To provide the community an opportunity to learn more about the referendum and about all things District 86, today we are launching a Facebook page. Information is already available on the District 86 website under the November 2018 Referendum tab. We continue to partner with our seven elementary sender districts, working together to support all students’ reading and math skills to increase high school and college readiness for all of our students. With the other elementary superintendents we are also investigating other areas of focus to benefit all students in the District 86 system. In January, 2018, a group of students, parents, teachers, administrators and Board members began working on a new strategic plan. 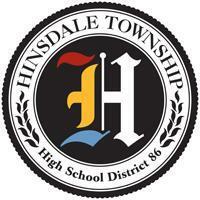 In June, the Board adopted what is now the District 86 Strategic Plan. Now that the school year has officially started and everyone is back, we can begin the work of laying out how we will prioritize the strategies that will guide our work and help us achieve our goals. Our mission is to empower our students to pursue their ideal future, and the District 86 Strategic Plan will be the guide for us to achieve our mission and realize our vision of being the standard for excellence in high school education. And finally the moment we’ve all been waiting all summer for: the arrival of students. This morning at each building we enthusiastically welcomed our students to the 2018-19 school year. We are eager to work with them and support them in partnership with you as they proceed on the path to their ideal futures. Together, we all have a role to play in moving District 86 forward and continuing its tradition of excellence for all. I hope to see all of you at Curriculum Night on August 23.